Mark joined Strategic Project Solutions (SPS) in 2018 as Director, Technical Solutions. 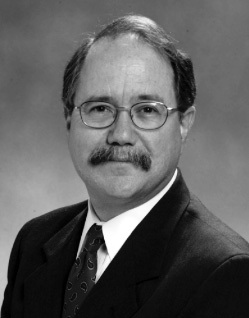 He is the founder, president and chief executive officer of Factory Physics, Inc. a firm that is now part of SPS and provides management consulting, training, and software to improve manufacturing and supply chain management. Over the last 30 years, he has worked with more than one hundred companies applying the principles of factory physics to improve operations and increase profits. Mark is the thought leader in applying the breakthrough concepts and applications of Factory Physics® principles to unite and accelerate management efforts in designing and implementing successful management strategies. Mark has worked extensively with executives to successfully improve on-time delivery and profitability for manufacturing supply chains. Mark co-authored the award-winning book Factory Physics: The Foundations of Manufacturing Management. The book has led a paradigm shift in the approach companies take in managing their operations. Recognizing that significant gaps exist between programs such as Lean Manufacturing, Six Sigma and widely marketed IT solutions such as Advanced Planning and Optimization and Manufacturing Execution Systems, Mark has long advocated a more practical, comprehensive and scientific approach to manufacturing. Factory Physics principles enable manufacturers to look beyond pure IT solutions and buzzword initiatives to identify the right approach for their specific production environments. Mark founded Factory Physics Inc. in 2001 to take the Factory Physics approach directly to industry and Factory Physics Inc.’s success in working with industry has validated the Factory Physics paradigm many times over. Prior to founding Factory Physics Inc., Mark was a professor of industrial and systems engineering in the School of Industrial and Systems Engineering at the Georgia Institute of Technology, the top-ranked industrial engineering program in the nation. He has served as department head at Texas A&M University and was associate professor of industrial engineering and management sciences at Northwestern University. For more than 15 years, Mark’s research and teaching dealt with manufacturing enterprise integration and supply chain management. Mark has worked with hundreds of facilities and scores of clients over the last 25 years, applying Factory Physics principles to optimize manufacturing supply chains by improving on-time delivery, increasing productivity and reducing cycle times and inventories. His work has provided integrated solutions that are both simple and effective. Mark holds a Ph.D. in industrial engineering from Texas A&M University, is a senior member of IIE, a full member of INFORMS, and is certified in production and inventory management by APICS.